Sunday May 6th, 5:30-7:00pm Team Farewell Event! Mandatory parent meeting, team discussion, final preparations, question and answer session, team gear set up! Note that Malik Mezine will be at the meeting. Malik is from France and is the point person on making this possible for the La Roca U11 group. He will be there to answer questions about the tournament and the region. 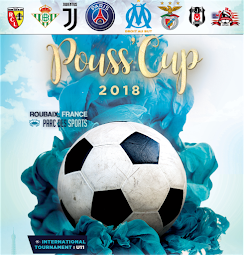 In the afternoon, the Pouss-Cup President has arranged a mini scrimmage round of play between the international teams in preparation for weekend play. The La Roca team will participate in the event.